If you’re an office worker, you may find it unsurprising that we spend an average of 4.1 hours a day checking work emails – that’s more than 20 hours a week and more that 1,000 hours a year. 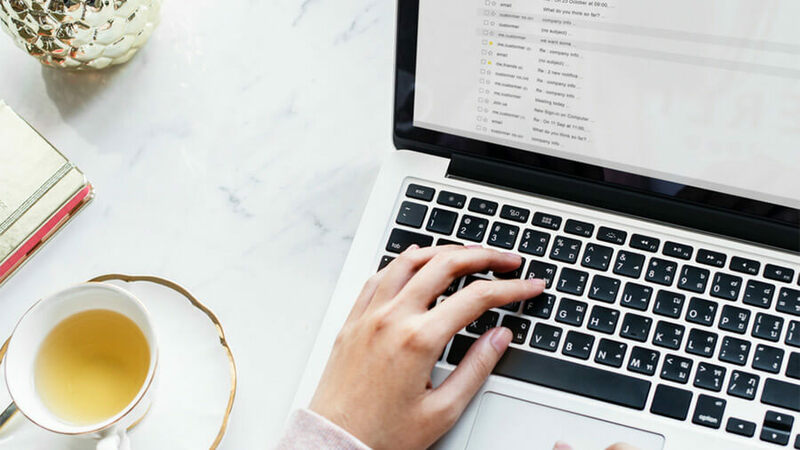 All that time spent reading, replying, scrolling, forwarding, CCing and crafting those perfectly worded emails is time you’re not spending on more important tasks. Here’s how to limit the time you spend on your work emails and increase your productivity. If a lot of the project management in your team takes place over email, you probably spend a lot of time scrolling through endless email chains. This runs the risk of important information getting missed and subjects getting side tracked. A lot of the queries and updates that clog up your inbox could easily be dealt with by using an online app with a chat function. You don’t have to read and deal with every single email that lands in your inbox. The sooner you realise that it is an impossible task, the better. It’s time to start prioritising some emails over others, using filters and bulk deleting. You do not have to read every single email and your inbox does not have to be perfect. The only person that really cares about that number is you. Stop thinking of your emails as your to-do list, but just treat all of your emails as one singular task on your overall to-do list. Email is not the number one priority on that list either. Try scanning your inbox in the morning for anything really important, or that needs an instant response. Add any tasks to your own to-do list, and leave the rest of your emails until later. Set aside a time to deal with your emails, perhaps one to two hours, and schedule it into your day just like any other task. Stop spending time crafting perfect emails when a simple sentence will do. Sometimes you may need to let someone know you’ve read and understood their message – but a simple ‘thanks,’ ‘seen this,’ or ‘understood’ will often be all you need to send. If you can keep your reply to the subject line, so they don’t have to open the email at all, even better. People will appreciate you reducing their email time too. Is a response even necessary? Replying to an email with “Thanks” or “OK” does not necessarily advance the conversation in any way. It can clog up people’s inboxes and even irritate them -so think about whether they really need an answer from you. For example, if you ask someone if they are free for a meeting at 10am, and they then reply ‘yes,’ you do not then need to reply saying ‘OK, see you then.” Just assume the meeting has been arranged and move on. To avoid other people sending you similarly unnecessary emails, try getting into the habit of writing ‘no reply necessary’ on your emails. Finally, don’t pile on if someone else has already sent an adequate response in an email chain. No one needs a 20th “This looked great to me, too!” email.